douglas irving repetto’s ‘foal’ | Abler. Douglas Irving Repetto’s “foal” project has been one of my favorites for years. Not sure why it took me so long to post it here. 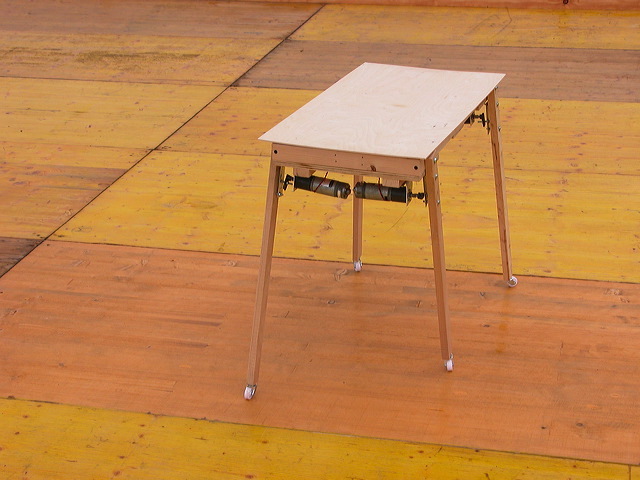 It’s a simple walking table—a piece of furniture that weirdly, animatedly, mimics the first tentative steps of a gangly animal. 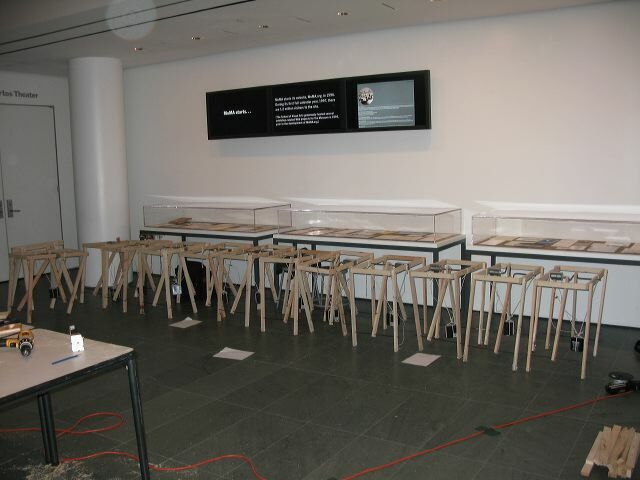 MoMA Bauhaus Labs: Walking Tables and Wrestling Foals from Plowshares Media on Vimeo. Repetto has taught people to make these creatures at workshops. 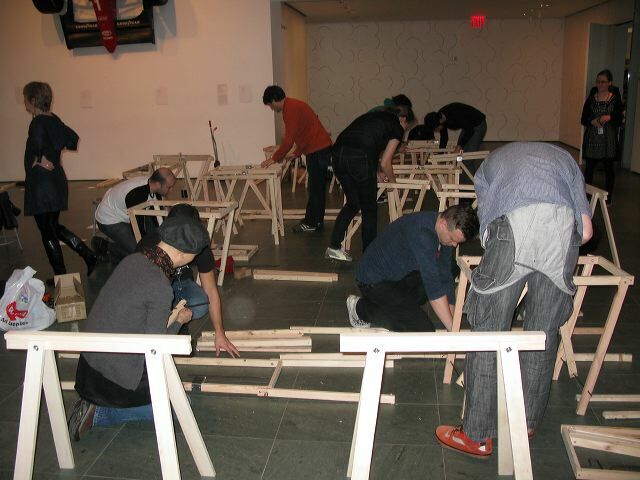 Pictures below from a workshop at MOMA; you can read more about its appearance at various venues here. 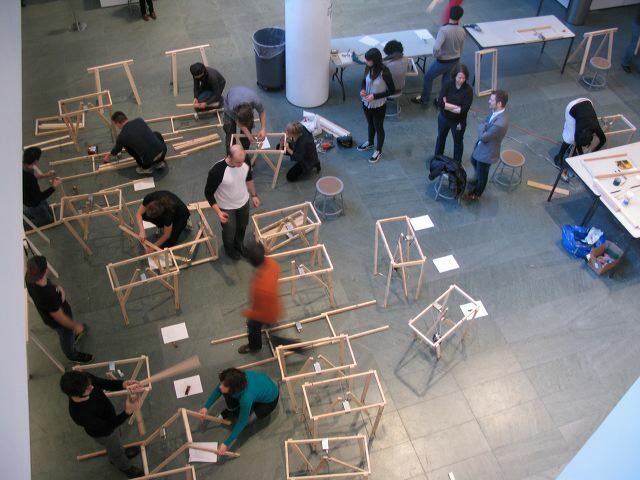 Previous post ← what is universal design?